Schedule a scorekeeper and a clock manager. It is best to make a schedule and have every family take a turn. All home games must be loaded onto the DVHL website. You can log everything live, or add it after the game has completed (same day please!). Please click on the link below to refer to the instructions on the DVHL website on how to do this. Suspended players and coaches sign the score sheet BEFORE the game in the presence of the referees. PLEASE remember to put the score at the TOP of the score sheet. 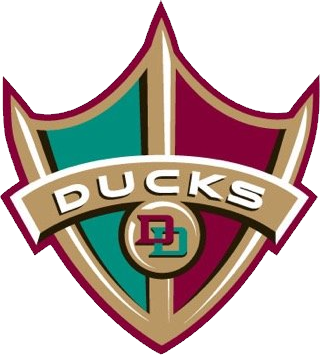 Immediately following the game, the original (white copy) MUST be placed in the folder labeled “Jen Scott” in the locked Ducks box at the Pond. Provide a copy of the score sheet to the opposing Head Coach and keep a copy for yourself or your Head Coach. NOTE: There is a fine imposed by the DVHL for any late, missing or incomplete score sheets. The fine is $20 for each week the score sheet is missing or late. Only the home team is responsible for turning the score sheets in. Please make sure the score sheet information is correct and complete before placing the original in the folder. If a player receives a Game Misconduct or Match Penalty (either at home or away), the team manager MUST complete the JOT form located on the DVHL website (www.dvhl.org). Once the penalty has been served, you must also fill out the JOT form letting them know it's been served. Once the suspended player or coach has signed the score sheet, they can leave the rink if they wish. If they choose to remain, they must watch from the stands. They are not allowed in or around the player’s bench or scorekeeping box. Suspended coaches cannot be in contact with the bench at any time during the game.